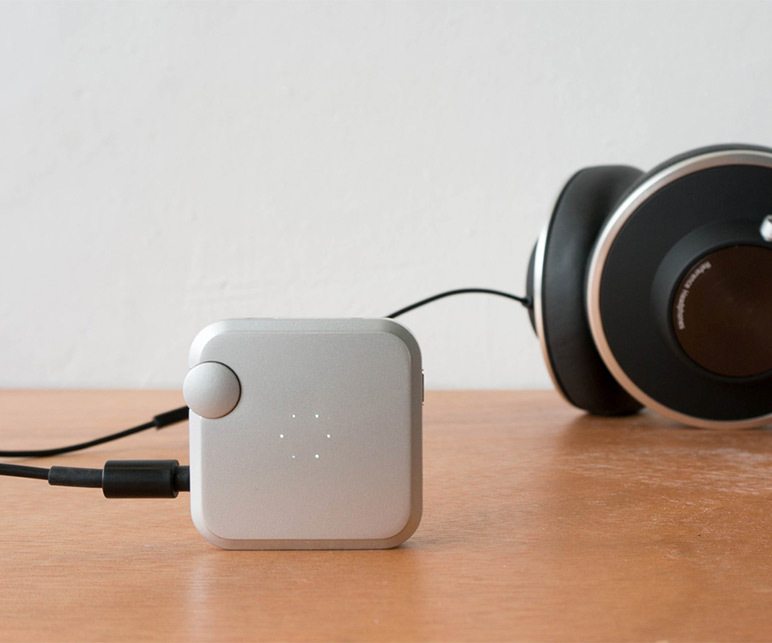 Plug in your existing headphones to the Aumeo module and customize their output to suit your own ears' preferred input. 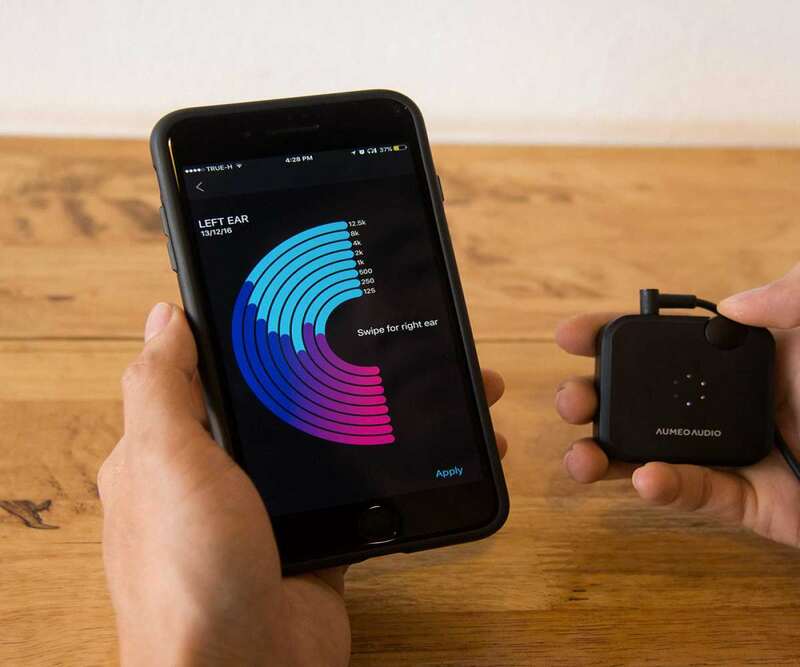 Aumeo gives you the ability to tweak your audio until it syncs with your individual hearing sensitivity, and sounds--and feels--the most golden to you. Aumeo personalizes every one of your listening experiences. Kind of like a Hushme voice mask for your ears. Aumeo says listening to headphones, or any audio, that hasn't been tuned to your own cochlear nerves is either: A) delivering muffled or unclear sound with few details. This can result in listening fatigue because you're straining to hear the nuances of distorted sound; or B) hearing damage. Because you pump up the jams to try to hear the details you're missing, thereby increasing the volume of the stuff you could hear before too. With sound Aumeo-fitted to your ears, you'll be able to find the right balance of treble and bass. When you first set up the device through the iOS / Android AumeoHub companion app, it will measure 8 frequency bands in each of your ears. 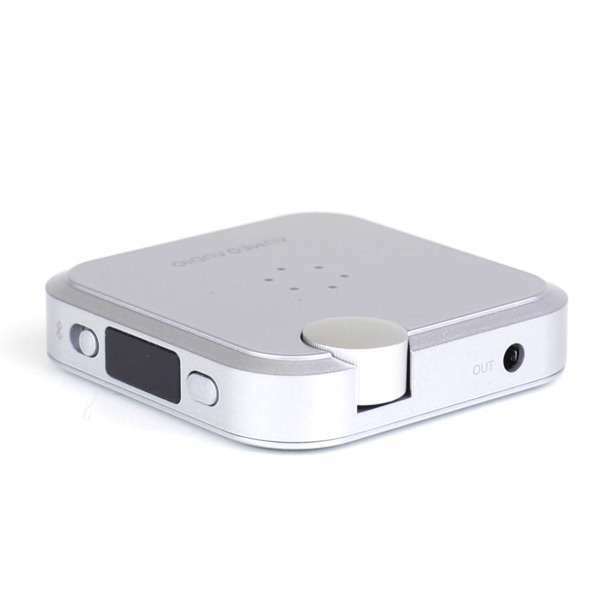 From there you'll save the measurements to your name and create an audio profile. Then all you need do is start listening to music to experience Aumeo's fuller, richer, balanced effects. The entire setup process should take about a minute. 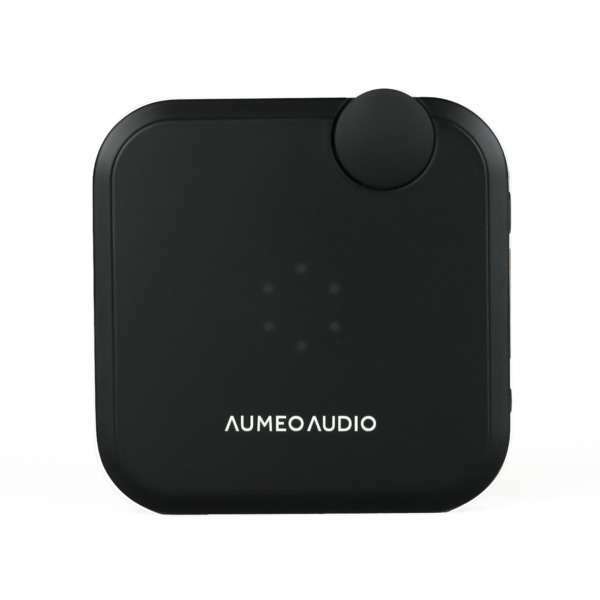 Aumeo connects to any audio source via Bluetooth or a 3.5mm audio cable.